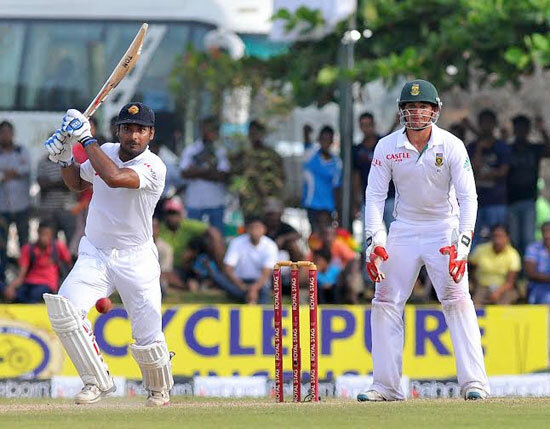 Set a challenging target of 370 for victory in four sessions, Sri Lanka were 110 for one wicket still requiring another 260 runs at the end of the fourth day of the First Test against South Africa, here today. South Africa 455 and 206 for 6 declared. Sri Lanka 292 and 110 for one. A superb spell of bowling by Moors skipper Shehan Jayasooriya who had a match bag of nine wickets for 60 helped them to beat Colombo Cricket Club by an innings and 22 runs in their Under-23 match which concluded at CCC grounds yesterday.